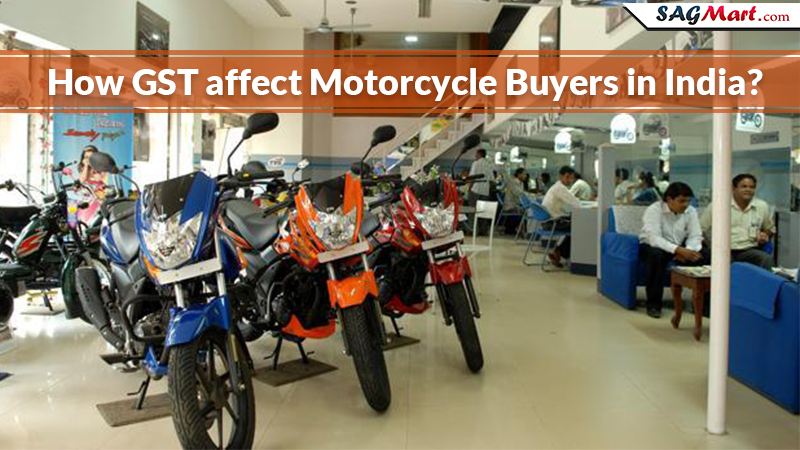 How GST Effect Motorcycle Buyers in India? GST is one of the biggest reforms in India since Independence and finally, it has been rolled out on 1st July 2017. As per the GST Council Meet, the imposed tax rates on motorcycles with engine capacity more than 350cc is 31 percent which included 28 percent GST along with 3 percent additional cess. Following the assumptions, the GST is helping in doing business easier, and the rumors around the corners that the products or items don’t get cheaper, that too is not true to a large extent. In this new taxation structure, the GST has replaced several taxes such as state VAT, central excise, service tax and more, which removed the burden of taxes on businessmen or taxpayers. The additional 3 percent cess on motorcycles packed with engine capacity more than 350cc, has affected the bike manufacturers like KTM and Royal Enfield more. Fortunately, the Classic 350 and the Bullet 350 which has a good market share in the Indian biking industry have been exempted from this additional 3 percent cess. Post GST, the motorcycle ownership cost has slightly increased, owing to the proposed 28 percent GST rate on spares, and service tax on insurance and loans EMIs increased from 15 to 18 percent. One big exclusion is that the electric and hybrid vehicles now fall under the slab rate of 12 percent, which has made electric vehicles expensive in specific areas where the government provided discounts on purchasing electric vehicles. 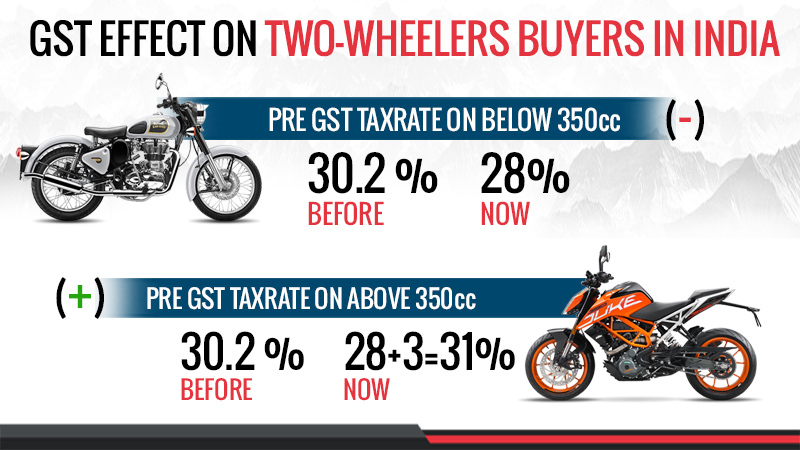 As assumed, the post-GST prices of bikes or motorcycles are more or less same as earlier. So minor changes in rates after GST implementation is not a matter of concern not only for the bike makers but also for the customers.